Rosenberg published “We Need a Hero” in the current Smithsonian Magazine http://www.smithsonianmag.com/arts-culture/The-Psychology-Behind-Superhero-Origin-Stories-187938991.html#ixzz2IrHHrBBI. The article inspired me to read The Psychology of Superheroes a collection of essays that Rosenberg edited in 2008 on what makes these caped crusaders tick. Peterson and Park assert that meaning is more important than pleasure in leading a satisfying life. That’s a good thing, because with a few exceptions, superheroes are challenged on the relationship front. I’ve always thought it’s the flaws embodied in the secret identities of Clark Kent and Peter Parker that bonds us to these characters. In one sense, they’re just like us, and their stories suggest that we too may choose the highroad. Though superpowers isolate them from others, sometimes superheroes band together with superior results, according to the second essay in the collection, “The Benefits of a Group,” by Dr. Wind Goodfriend. This article may shed some light on why The Justice League of America functions more efficiently than your team at work or committees at church. Another topic discussed in the book is the question of nurture vs. nature in the development of superhero psychology. Superman may have his powers through genetics, how did he come to use them for altruistic rather than narrow and selfish ends? Did he inherit those qualities too, or were they a result of his wholesome upbringing on a farm in America’s heartland? What would have happened if his pod had landed in New York City? Good and evil are usually clearly drawn in superhero stories, but not always. In “Anti-Heroism in the Continuum of Good and Evil,” Dr. Michael Spivey and Steve Knowlton discuss the ambiguous, gray-zone nature of super anti-heroes and sympathetic villains (think of Darth Vader and Gollum). Each of the 18 essays in The Psychology of Superheroes addresses some facet of the super-psyche that you may or may not have wondered about. Humans have relished hero tales for millennia. Superman joined the ranks 75 years ago, and if you’ve been to the cineplex lately, you know that his saga is going to continue this summer. The trailer for Man of Steel 2013 zeroes in on Clark’s inner struggles to understand who he is and why he is here. 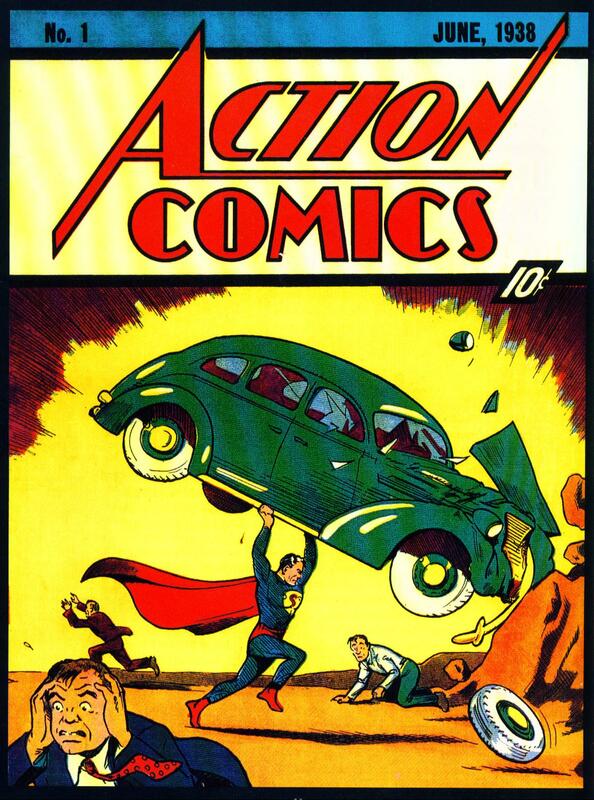 Earlier incarnations of Superman did not live in a world of such moral ambiguity and mistrust of the government, themes which place this telling squarely in the 21st century. As The Psychology of Superheroes makes clear, what we really admire is not the superpowers but the hero, the one who overcomes their doubts and demons and then acts to make the world a better place. This book is a fascinating read in its own right and will whet your appetite for the new movie. It will give you some new perspectives on movies you’ve seen in the past as well as the comic books that once inspired some of us to run around wearing capes made out of bedsheets. This entry was posted in Authors, Book Reviews, Books, Culture, Fantasy, Psychology, Stories and tagged book reviews, books, fantasy, fictional characters, imagination, movies, Psychology, Superheroes, Superman. Bookmark the permalink. SoundEagle would like to add from experience that If or when we behaved and acted as outliers (or as superheroes) against the grain of society or social moray, many or most of our relatives, friends and (ex-)colleagues would simply not have the time, capacity and courage to cultivate or possess the wisdom and mentality to like, understand, tolerate, empathize or sympathize with, and/or support our way of life, worldview and philosophy. This would be true even if or when we had to sacrifice our careers and wellbeing as the result of sustained involvements in helping, saving, innovating, protecting, appraising, connecting, exposing, contradicting, validating and promoting some peoples and projects in various contexts and situations. It could also be true if or when we had done a lot of voluntary, non-profit, non-commercial and/or pro bono works for extended periods, and as a result, has/had forgone earning a very large amount of income over the working life. That’s a very interesting observation. I don’t know enough of the personal life of well known reformers to be able to add examples. I understand Gandhi’s family life was sometimes rocky. On the other hand, I believe Martin Luther King was happily married. Thank you, Morgan, for contemplating the plausibility, reliability and/or validity of SoundEagle’s observation with a couple of eminent historical figures as examples. I haven’t got around to reading the Smithsonian article yet (I will! ), but I appreciated your summary of ‘The Psychology of Superheroes’. I always think of comicbook heroes as descendants of folktale protagonists, who are likewise presented with moral dilemmas to wrestle with and altruistic situations to demonstrate their compassion. My limited experience with US comicbook heroes, from childhood encounters in Hong Kong in the 50s to adult appreciation in the UK in the 70s and 80s, revealed that life for superheroes had become more complex (as well as more graphically violent) than in their Golden Age post-war years. Now that serious comicdom has been dignified with the moniker Graphic Novel (and prices risen in consequence) I rarely get round to viewing them, but my impression is that the situation has just intensified.